Ever take a fuel bath when changing your filter. We have a solution! Cleaning and replacing you filter elements used to mean draining your gas tank. 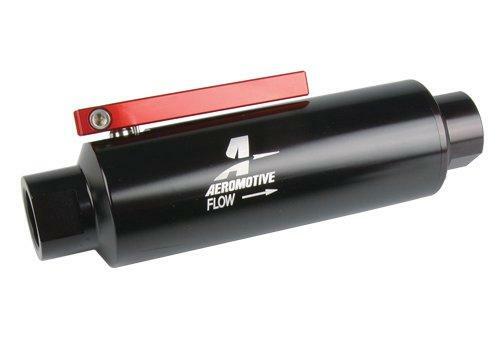 The new Aeromotive Shutoff Valve Fuel Filters allow you to shutoff fuel flow and replace your filter elements with little or no fuel loss. 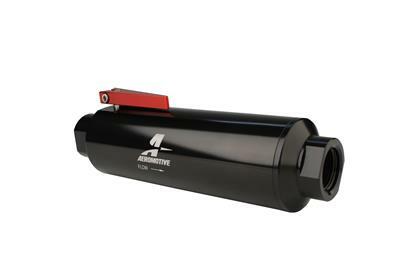 Both feature 100 micron stainless steel elements and are recommended for use between the fuel cell or sumped tank and the fuel pump inlet.